Management consulting can be a lucrative and rewarding field. Many students choose this as the first step in a career in order to start out as a generalist and learn a broad range of skills. Others choose it because they have not yet honed in on the field or industry they eventually want to settle into. Others choose to consult as a long-term career path due to the variety, diversity, and challenges that it presents. The top names in management consulting are virtually a Who’s Who of the Fortune 500; Bain & Co., the Boston Consulting Group (BCG), McKinsey & Co., Deloitte LLP, and others. Each firm has a slightly different focus, culture, and approach to the market. This is how they tend to differentiate themselves. Knowing these differences and understanding them as they are related to the firm you are interviewing with is critical in getting hired, whether for a full-time or intern position. It also allows you to hone in on areas that are of particular personal interest. Bain & Company is one of the best known of the major consulting firms. It was brought into even greater prominence during Mitt Romney’s presidential campaign, due to his past role with the company. Bain has experience across many industries including airlines, consumer products, financial services, healthcare, media, oil & gas, retail, technology, and others. Bain is worldwide in its’ scope. Bain's internships are recognized as one of the top 10 internship experiences. This ranking is based on the availability of critical mentors, multiple career advancement opportunities, compensation, and strategic position in the industry, and the type of work culture. Domestic: Atlanta, Boston, Dallas, Houston, Los Angeles, New York, San Francisco, Washington DC. International: Amsterdam, Beijing, Brussels, Copenhagen, Dusseldorf, Frankfurt, Helsinki, Hong Kong, Johannesburg, Kyiv, Madrid, Mexico City, Milan, Moscow, Munich, Oslo, Palo Alto, Paris, Rome, Sao Paulo, Seoul, Shanghai, Singapore, Stockholm, Tokyo, Toronto, Zurich. The Bane & Company ACI program is ideal for undergraduate students and master's candidates considering a management consulting career. The program provides interns with an introduction to the consulting industry and the process of developing a business strategy. It does this through in-depth training in critical consulting skills and provides ongoing hands-on learning through immersion with a Bain & Co. case team. Interns are exposed to Bain clients and learn through exposure to its operations and the business challenges it faces. 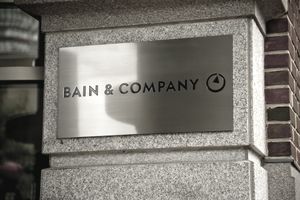 An intern is teamed up with a Bain consultant on the case team whose role is to provide supervision, guidance, and coaching throughout the internship and to provide feedback at both the mid-point and conclusion of the program to enhance the intern's learning experience. After an initial intensive training period with an experienced consultant, an intern is immediately assigned to an active case. Interns are responsible for data gathering and analysis; industry research; the interviewing of key clients and customers, and finally presenting their findings to the consulting team. Bain recruits on campus at schools around the world. Check the Bain site and search for your campus to learn about recruiting events. In order to prepare for an interview at Bain you need to be ready for a combination of case, written case, and experiential interviews, depending on the position you're applying for. Take the time to develop a custom consulting cover letter and also to tailor your resume to address the specific job requirements. In order to apply set up an account at the Bain website and complete the application form.